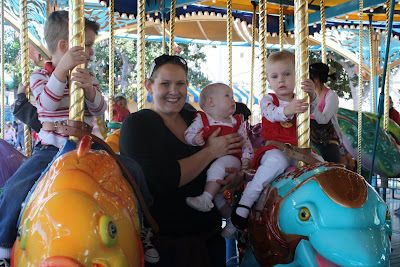 Christiansen Family Chaos...: Truly is the Happiest place on earth!! Truly is the Happiest place on earth!! Doesn't this picture say it ALL! 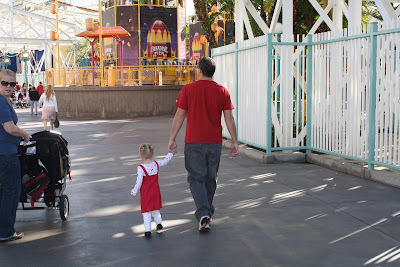 Kate was the happiest girl ever, She loved every minute we spent there. She was is Heaven. 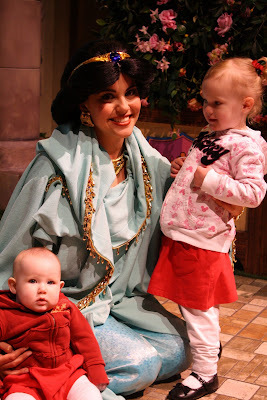 She was says that she loves the princesses the best, but she stares at this picture of her and Minnie everyday. She can't wait to go back and I don't blame her. Thank Sarah for letting come and stay with you we had a blast. We owe you guys big time. 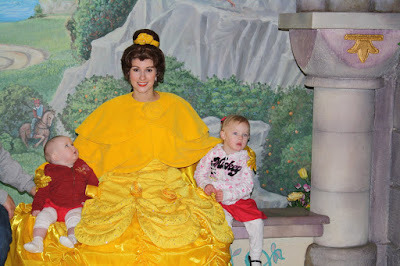 Kate was in awe of the princesses she didn't want to leave their side. 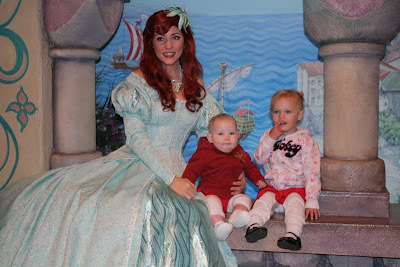 Kate loves Ariel the the most. 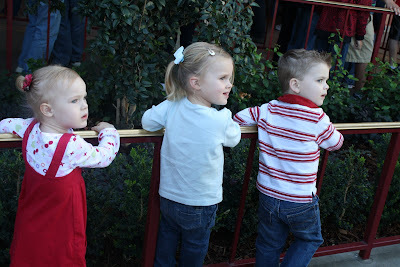 We were waiting in line for the new Woody ride- which was awesome!! 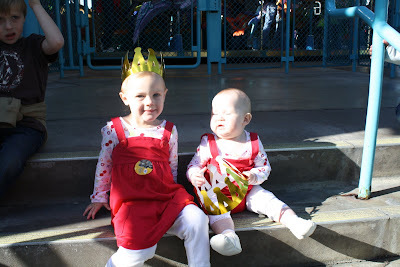 Kate and Kylie got crowns from the under the sea ride. Donny hasn't been to Disneyland since he was a little boy and he won't admit but he had just as much fun as Kate and I.
Kylie and her friend Brooke. 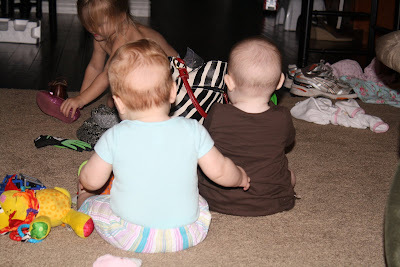 Is was fun to see them playing together. I love that pic of Kate and Minnie!Too cute! oh, btw, thanks for letting kate play with Nicole at sand mountain today, they had fun I heard. Love the pics & all the posting lately! I guess I need to check yours more often! 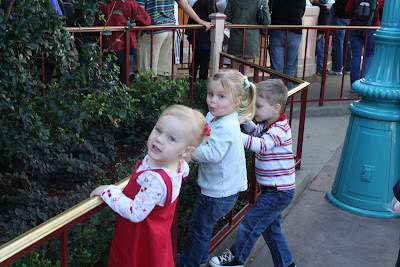 We've got to have a Disney trip... something before Tyson starts school in the fall! Love your cute family! I have some cute pictures of Disneyland too. We need to swap. We had so much fun and the kids keep asking when you guys are coming back. I don't think they realize it is as close as it really is. We are excited to have you back! Next time can you PLEASE take Abby with you. She asks me everyday at least three times if we can go to Disneyland. 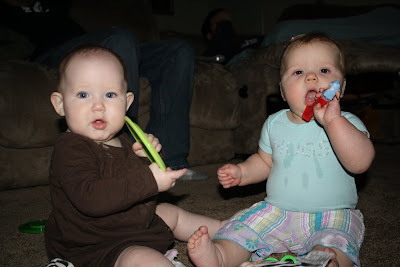 We had so much fun while you guys were here. I have a couple of pictures too. THEY R CUTE. SOO FUN. 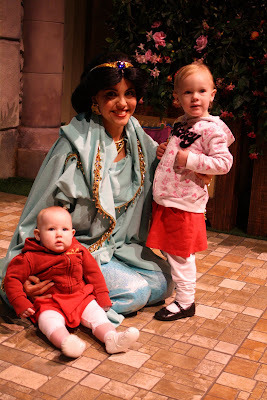 CUTE KIDS WITH THE PRINECCESS. Christmas, Birthday, and PUKE oh my!!!! Hi I am Annie and I am a mom of two sweet girls and a very handsome boy, my sweet little Kate, my happy little Kylie and my bubba Black. We just recently moved back to Nevada where my great husband of six years is a Lt in the US Navy and works on base as a dentist. He is really enjoying his new job especially the part where he gets to come home at 4:00 and he is done. I am also an ER nurse who loves to do about anything that's creative, even though I copy most everything I make.